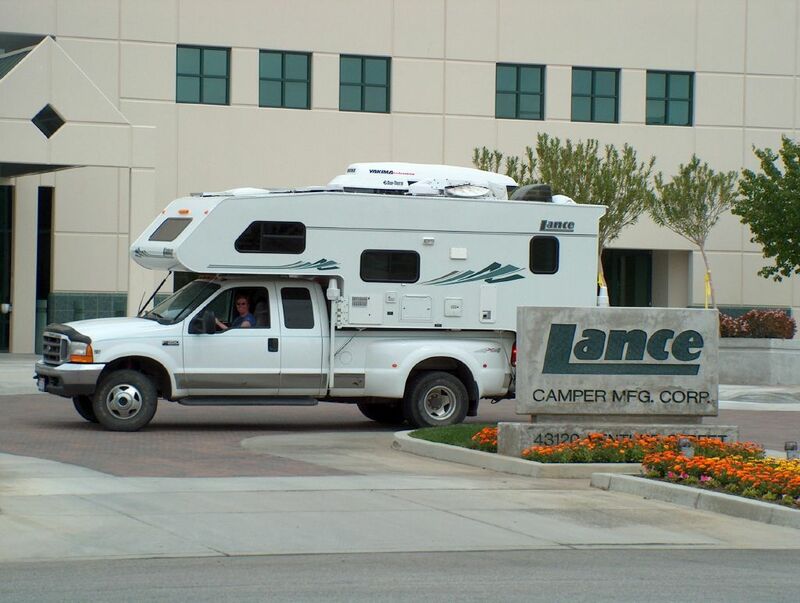 Y'know, this week our answer to "Would we buy another Lance camper?" just might have changed. We visited their factory in Lancaster, California and were treated like royalty. They not only fixed everything that was wrong with the camper, they fixed things we didn't even know were broken, reimbursed us for the furnace circuit board we'd replaced in February, and washed and re-caulked the entire exterior while they were at it. Don't get me wrong, the camper's initial build quality was less than impressive, and there's no disputing that. If Lance's Production and Quality Assurance departments worked to the same standards that Customer Service does, none of this would have been necessary — except the wash, maybe. But Lance has redeemed themselves in our eyes. They went above and beyond the call of duty, even replacing the air conditioner that Camping World had botched the installation of. Customer Service is that good. We also learned a lot about our camper while we were there. Following are lessons that all Lance owners should read and remember; owners of other RVs will benefit from some of these as well. 1. Turning on the Dometic fridge's "Low Ambient" switch causes the light inside to stay on all the time, even when the door is closed. This is the only thing the "Low Ambient" switch does. The fridge manual describes the switch's purpose, but not its specific effect. 2. 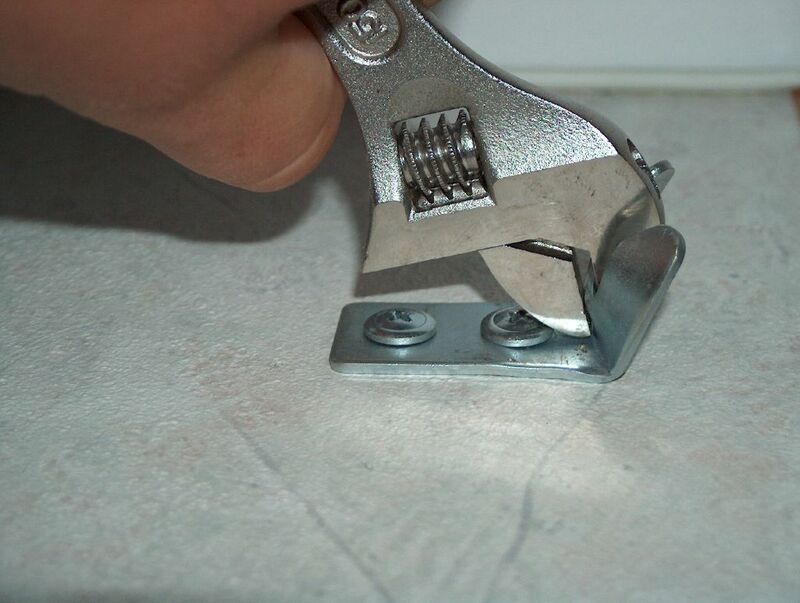 Have you ever forgotten to remove one (or both) of your slideout's safety catches before extending the slide? Doing so will bend the crap out of the metal catch plate. If this happens to you, don't remove the plate or order a new one; here's how you straighten it. Don't worry, you're not going to pull the screws out. 3. To paraphrase Smokey Bear, "Only YOU can prevent propane overfilling!" The guy who fills your tanks may — or may not — know how to do it right. He should not rely on the OPD, the level gauge, or on the tank's weight; he should use a screwdriver to open the tank's bleedoff valve, stop filling when clear liquid (not white vapor) comes out, then leave it open until the liquid stops. If he doesn't: smile, nod, pay for the propane, but don't reconnect the tank until you have checked the level yourself. In a safe place (away from any source of possible ignition), put on gloves and use a screwdriver to open the bleedoff valve; close it as soon as the discharge is completely vapor (no liquid). Overfilled tanks are a potential safety hazard; they also can bleed liquid propane into the regulator (which isn't designed for it) and eventually cause damage. You will also get oil (present in the liquid propane) into your propane lines, where it will make gurgling noises and wreak havoc with the pressure. If you have such gurgling noises already, this is why; you need to drain the oil out of the line and make sure your tanks aren't overfilled again. If you always get your propane filled in the same place and they always do it right, fine, but in the end it's our responsibility. 4. Loading and unloading your camper is difficult for the first 900 times or so, then it gets easier. 5. If your black water tank monitor always reads full because the sensors are dirty, here's a way to clean them: After you dump the tanks, completely fill your black tank with fresh water — right up into the toilet pipe — and dump it again. If they're really dirty, you might need to repeat the process (ours took 3 tries), but this should clear it. 6. Master keys (such as dealers have) fit your camper door's latch lock but not the deadbolt. Use the deadbolt if you want the door to be secure. 7. If you ever need any work done on your Lance, take it to the factory if at all possible. Their Customer Service department's primary job is to fix whatever's wrong with your camper — to make you happy. Larry, Kit, and their associates know what they're doing and take pride in their work. Your local Lance dealer, in all likelihood, doesn't. I understand that not everyone has the freedom to travel that we do, but I'm telling you… if your camper is at all important to you, find a way to bring it to Lancaster. So when our 1121 wears out, or we've just had enough of it… Yeah, we'd buy another Lance. And we'd schedule a trip to the factory for about 2 months after we took delivery. Do you know someone who would enjoy this article? Click to e-mail it to them!